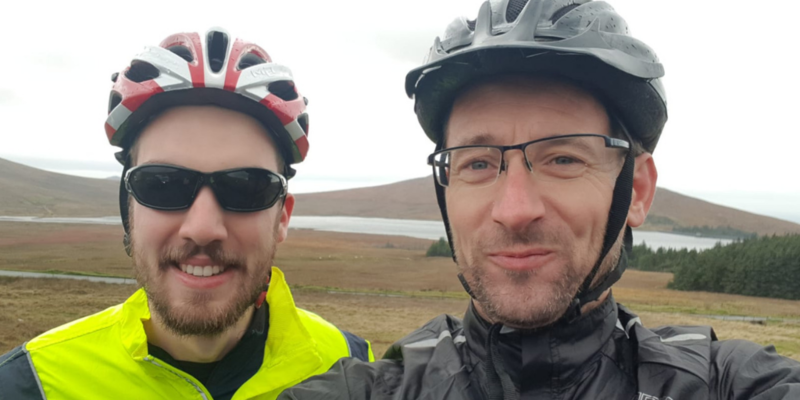 Whilst most of us were relaxing at home on Sunday 7th October, two of our keenest cyclists decided to tackle the Granite Challenge. What exactly inspired them to rise at the crack of dawn to spend the day cycling? A good cause: raising funds for Automated Intelligence’s charity of the year, Action Mental Health. Paul Hudson and Kyle Bingham were two of the 70 cyclists that took part in the 55-mile route over the Mourne Mountains. The day started early and covered some of the most beautiful (and challenging) terrain Northern Ireland has to offer. The best bit? Each mile covered has helped to raise funds for an important cause. Action Mental Health supports adults and young people to enhance the quality of life and the employability of people with mental health needs or a learning disability in Northern Ireland. As AI’s chosen charity for 2018, each pound raised for Action Mental Health will be matched by the company at the end of the year.